Hello, I love your web site! I like to drive around Michigan and take pictures of historic buildings. I recently found your web site and it has given me some ideas of things to shoot. On Saturday I drove around the Thumb area to take pictures of several things. 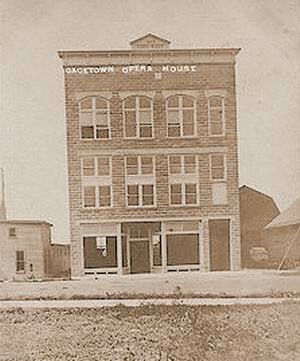 I stopped off in Gagetown and Im pretty sure I located the old opera house pictured in the postcard image on your site. The building has been altered somewhat, but by comparing the pictures, the window and trim configuration look the same. It appears that the third floor has been removed and the windows on the first floor have been removed. Other than that it appears to be the same building! 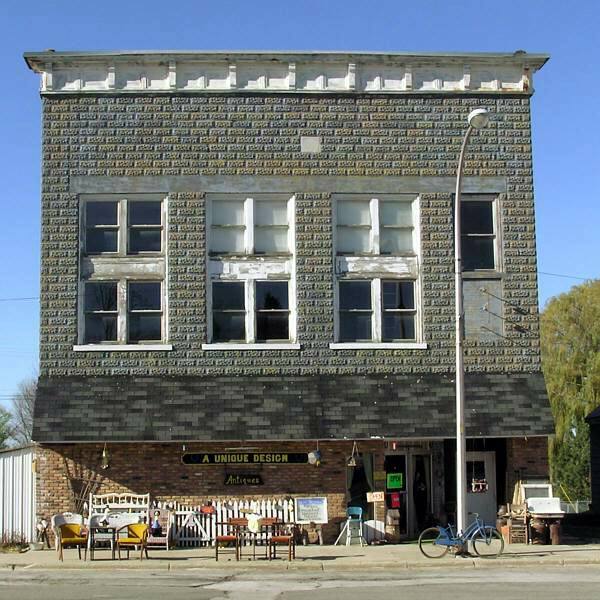 The building is now used as an antique store called A Unique Design.